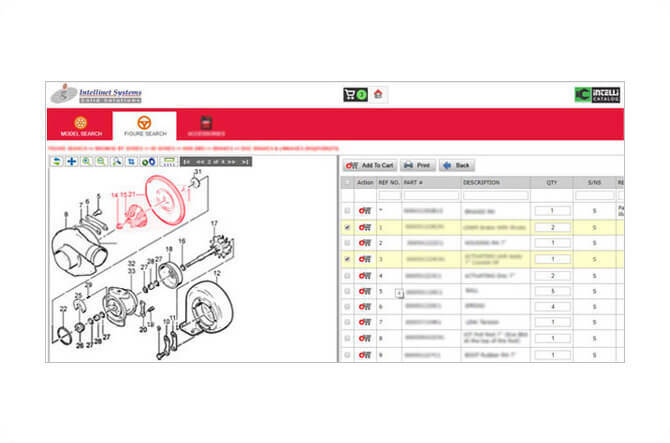 Intelli Catalogue is a digital spare parts catalog software . 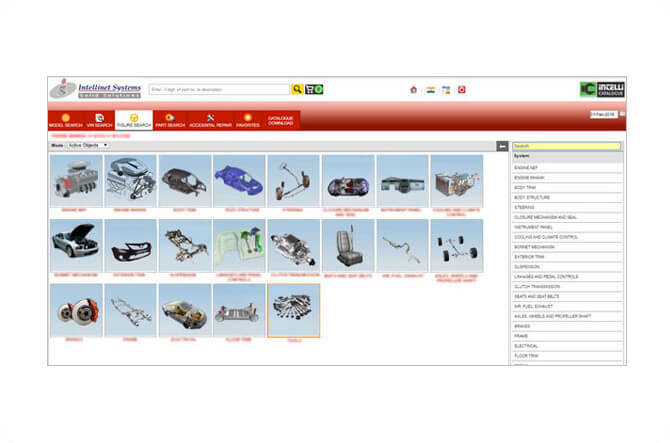 It is an illustrated spare parts publishing software which provides a one-stop solution to OEMs for spare parts management and efficient aftermarket sales. It has a modular design with high scalability feature and easy to use options. Electronic spare parts catalogue software is advanced and automated software designed to replace manual processing, pdf catalogue processing and other processing to make spare part management, order management as easy as child’s play. This software provides easy search options, auto-update option, and e-commerce storefront to dealers for effective aftermarket sales. How does Intelli Catalogue Work? 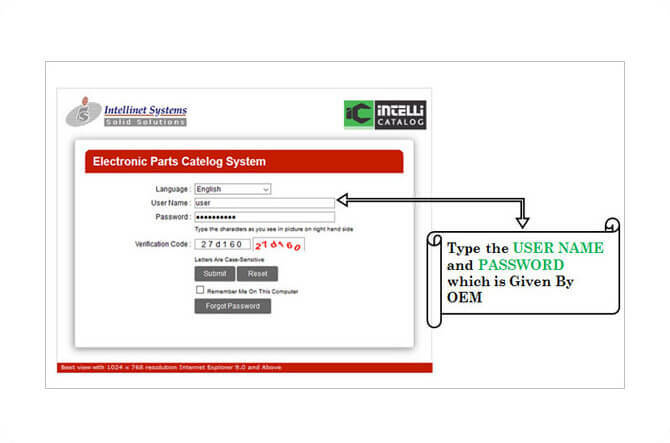 Intelli Catalog is a software system which has a systematic data of all the spare parts and accessories which are offered by the concerned OEM. All the information is stored on the server which is easily assessable to OEM via back end and system updates. A separate module is available for different tasks which make it easy to operate and update. Unlike manual processing, you can update the latest addition in just few minutes by filling the required information. It not only offers easy update option but also offers numerous unique features which include Order Management, ECI & ECN Automation, e-commerce facility and a lot more. Updating web-based part catalog is just a matter of few clicks, at almost zero expenses and in a very short span of time. New parts and accessories can be added as soon as they are introduced in the market. With the modification in the product architecture, few spare parts become obsolete and new are introduced in the market. With our online catalogue software, you can easily delete the obsolete parts, and can add the new one. In addition, information regarding the alternate parts and part update is also available at the same place which makes spare part management an easy task. With design modification, OEMs need to provide ECI and ECN to the dealers in order to inform them about the change. Regulating these documents requires time and cost both but with our web-based parts catalog, ECI & ECN processes are automated. 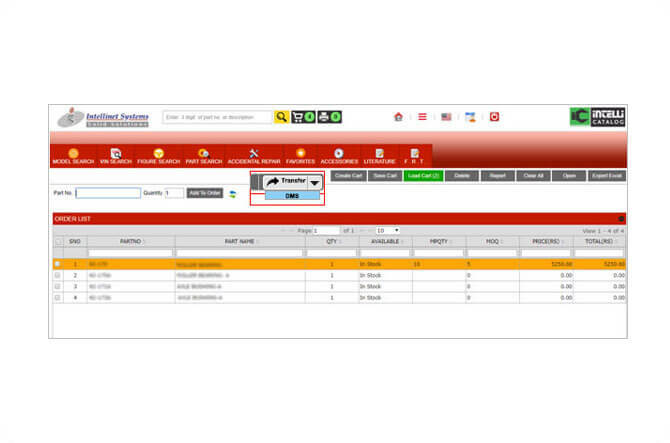 Our software also provides storefront for dealers to allow them place correct order in just few clicks. This storefront allows dealers to easily find the accurate parts in no time with the help of part number, assembly diagram etc. Integration with ERP, DMS etc. 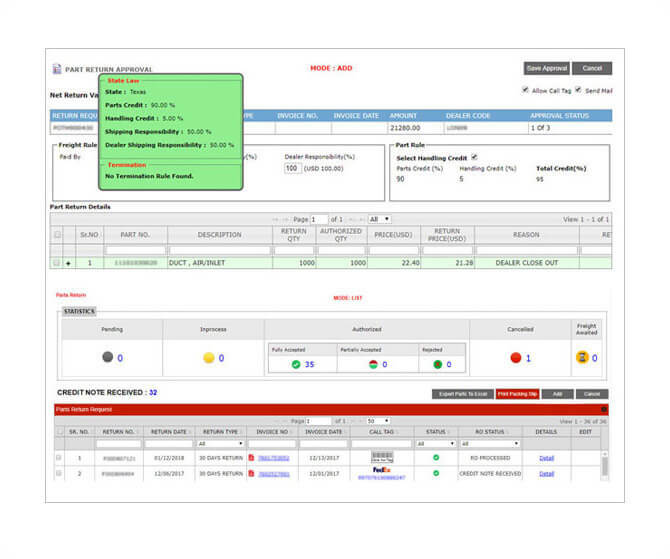 Our software not only offers easy ordering process but also easy order management processing. 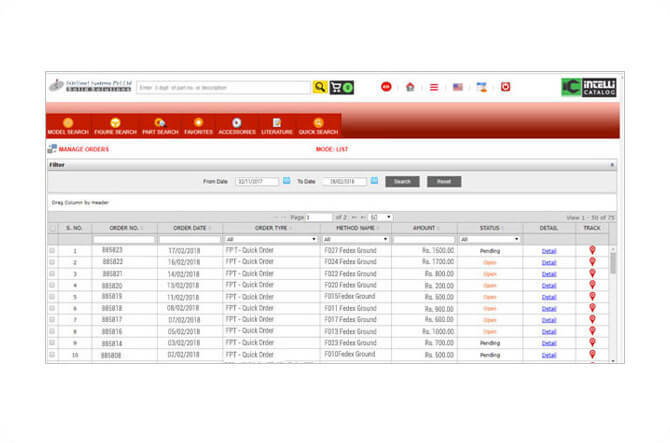 Also, dealers can also track their orders in just few minutes.And no need to repeatedly check with the OEMs to know the status of their order. Just login easily and track their order like an e-commerce website. The software is available for all the platforms which include Android, IOS, tab, web, CD/DVD, Desktop etc. so the OEMs can use suitable platform. For example, in remote areas where internet is not available CD/DVD or Desktop are the best platforms. To make it accessible, we also offer mobile app for the same. Security of Data is one of the major concerns of companies and we ensure complete security of your data. We not only secure the data of the company but also we completely secure user-related information with the help of advanced security mechanism. Returning the spare part involves a pre-decided process and requires approval at various steps. 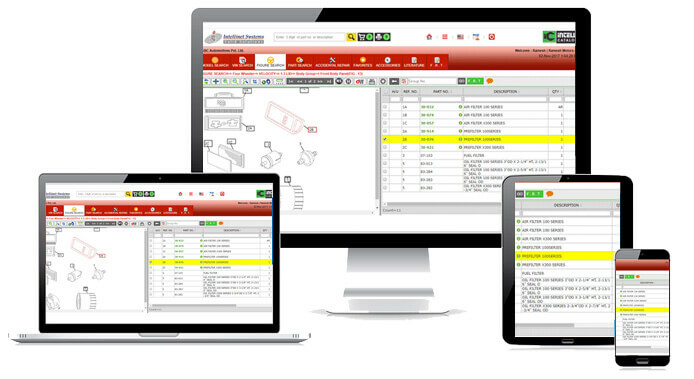 Our software also automates the return process making it less time consuming and easy for both dealers as well as OEMs. 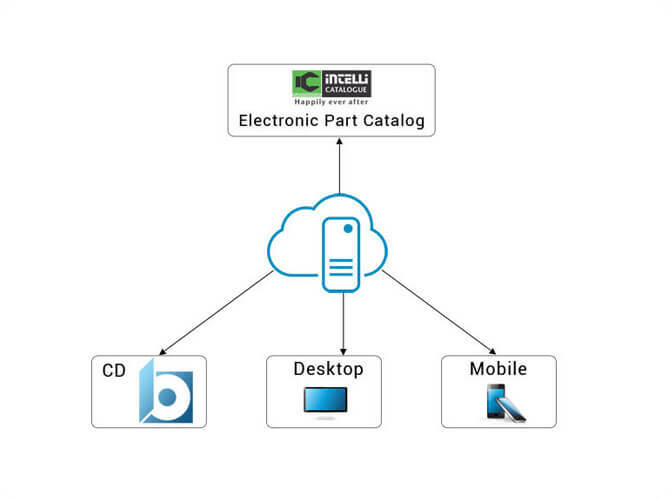 Electronic spare part catalogue is cost effective for OEMs as it directly curtails the cost involved in printing and distribution of the manual catalogue. Every time there is a need for updating the catalogue, OEMs had to bear entire reprinting and redistribution cost. However, our EPC Software reduces this cost to almost zero as updates can be done in just few clicks. Forecasting sales is very important for effective aftermarket sales. 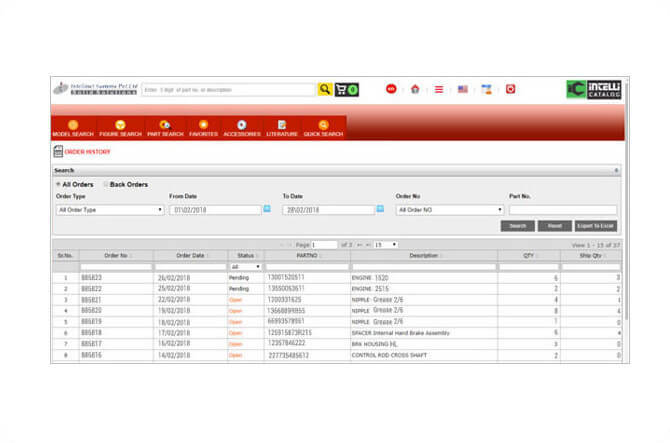 Our Electronic Spare Parts Catalogue Software allows you to forecast your sales and maintain the inventory accordingly. OEMs easily get to know highly demanded spare parts as well as less demanded parts which help them to forecast their sales. 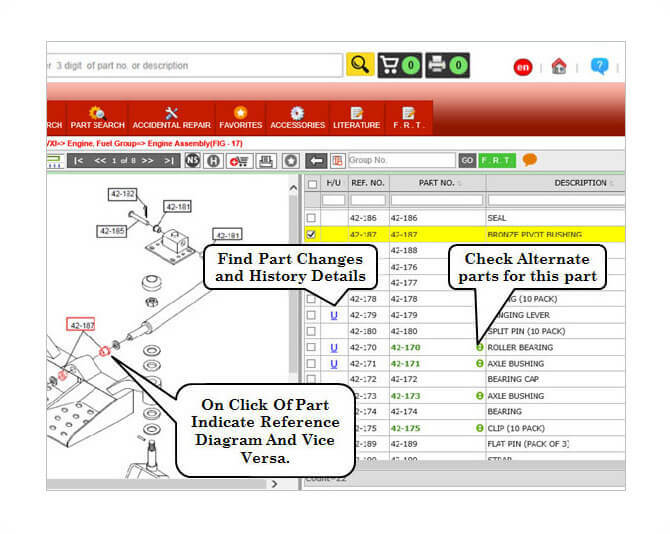 One of the major benefits of Web-Based Spare Parts Catalog Software is the boost in the aftermarket sales. Easily availability of original spare parts, sales forecasting feature, easy ordering process etc. serves a long way in boosting up the aftermarket sales. For maintaining paper (manual) catalog you require a specific place, safety from moisture, heat etc. In addition, these catalogues can go in bad condition within a year, which will result in increasing the maintenance cost. On the contrary, EPC Management Solution reduces this cost to the minimum as all the information is saved on the server and you just have to pay some annual charges as a maintenance cost. Manual processes generally have a high risk of errors in comparison to an automated process. Errors are common in mentioning or reading the part numbers; however, with our online software these errors are very rare. With every part number there are graphics available so one can easily resemble the part before ordering. In addition, one can also place order by scanning the QR code. Thus, making the whole processes error-free. We have designed Intelli Catalog keeping in mind the requirement of OEMs for providing them an easy catalogue management system as well as for boosting their aftermarket sales.